Kitchen East is a moveable kitchen creating fresh, vibrant and carefully considered food for a wide range of events. Kitchen East is run by Polly and Hanna. We are two chefs who have worked for over a decade in restaurants including The Gardener’s Cottage, Inver, Riverford at the Duke of Cambridge and The Edinburgh Larder. 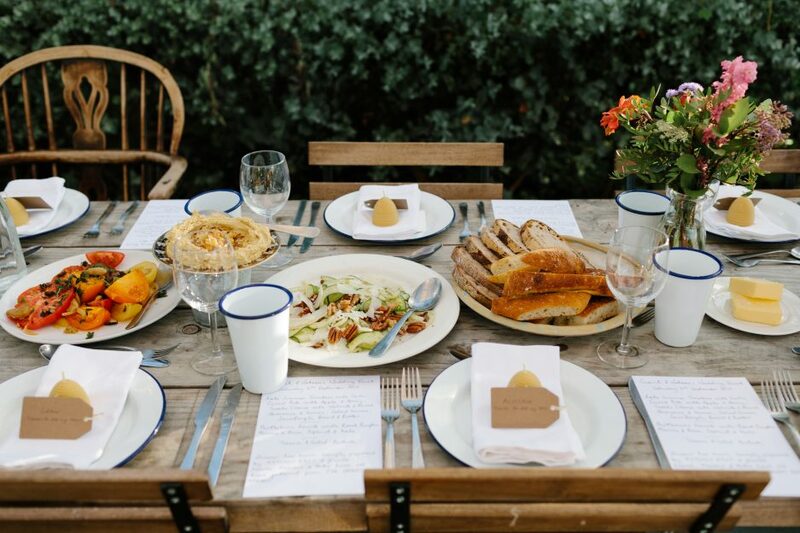 Our love of cooking has led us to create Kitchen East where we offer bespoke, modern catering for a wide range of events from family occasions, to crew catering for fashion shoots, private event work and yoga retreats. We particularly love catering for weddings and offer an informal, thoughtful and creative approach. Our menus are inspired by what is in season. We work with an amazing network of organic farms, foragers and artisan producers. Our general style is rustic yet full of detail, colourful and creative. We are Edinburgh based but are happy to travel. Please email us at hello@kitcheneast.com with a brief overview of your event and we will get back to you as soon as we can. Thanks.